Whoop whoop! It's Friday again! I thought this day would never come. For some reason this week dragged on and on. Every night this week we had something going on which made for extra long days -- Monday, we had Mason's new ABA therapist; Tuesday, Seth had softball; Wednesday, we had Mason's other ABA therapist; Thursday, Mason had his four year old check up; and today, Friday, we have a going away dinner for some friends that are moving. Pair that with a wedding on Saturday night and a birthday brunch on Sunday and we're set to have a busy weekend as well! Phew. I'm tired just thinking about it. But before we skip ahead too far... here are my super random Friday Five. My mother in law showed me a drink combo very similar to this a couple weeks ago. She'd been drinking a splash of juice (cranberry, cherry, or pomegranate) with Pellegrino sparkling water. I tried it and LOVED it. I don't normally buy Ocean Spray juice but when it was on sale last week at the grocery store, I thought I'd give the combo a try for myself. 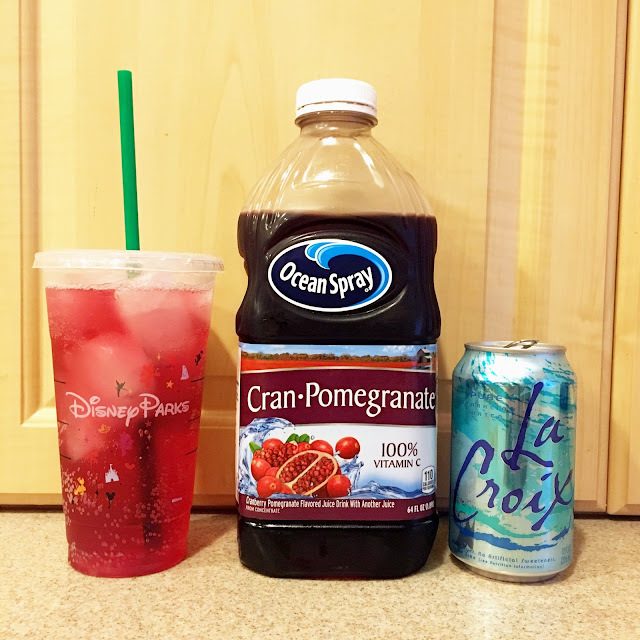 I picked up this cran-pomegrante juice and some Pure Lacroix and LOVED the combo. I seriously have been having this drink non-stop all week. It's just a SPLASH of juice and then filled with a can of water and add ice. It gives the water a little flavor without getting all the calories and sugar of a glass of juice. Seriously. SO GOOD. I used to use my phone as my only planner. But then I started to notice that it was deleting things. I could swear up and down that a certain event or reminder was in my phone yet I couldn't find it. So, to remedy the situation, I put things in my phone short term and then transfer them over to my paper planner. While it is a bit annoying to need two planners and to have to remember to carry my paper one around with me, I know that things don't mysteriously disappear off my paper planner like my iCal. But anyway, the point to my story is... can someone help me? I've gone into my settings and changed everything that I can think of but my iCal on my phone only seems to sync "one time events" back a month whereas it keeps "repeating events" for always. You see, I use my phone for reminders. I set an event in my calendar and have it pop up with a reminder. For instance, on Mason's birthday, I had a reminder to not forget his birthday cupcakes. Before that, I had a reminder to order a stroller on Amazon for Disneyland at the beginning of the month. And last month had a reminder to remember to leave the check out for the house cleaners. Random things like that. I also have events like Mason's speech appointments and ABA sessions. These things happen at the same time every week for an infinite (undetermined) number of weeks. These are the "repeating" events I was referring to. If I go back to, say, January those events as well as birthdays and such are still there. But random little reminders to pick up my prescription at Target are not. What am I doing wrong? I don't want events to only sync back a month. That's not nearly long enough. I just scheduled a hair cut for Mason and I tried to find out when his last one was and it was gone! I want at least like 6 months to a year of syncing. Help! Since apparently I'm using today's post as a forum for help... here's a problem I've been having. 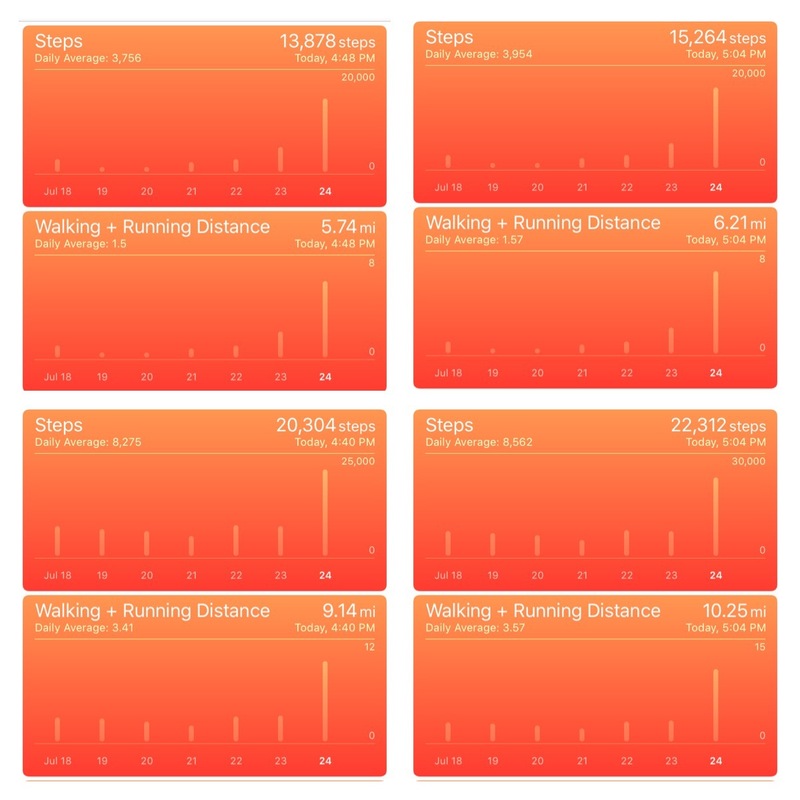 I've been loving using my phone's health app as a pedometer. I love seeing how many steps I take in a day. So when we went to Disneyland last weekend, I was so excited to see how many thousands of steps I would take. Seth and I were together all day, both had our phones on us, and neither one really left each other where one would walk more than the other. So when we checked our phones at the end of the day, before we left, I was shocked to see he had SO many more steps than me! I knew for sure something was wrong (you know, in my expert opinion). So we tested it. We each screen shotted the totals before we walked to the parking garage and after. We (expertly lol) determined that we walked the same speed and had the same strides so when we got to the garage and he had, again, MORE steps than me, I was shocked! Am I doing something wrong? Do I need to calibrate the app to my stride or something? Help! About three-ish years ago, I tried essential oils for the first time. I was visiting my friend and she shared some with us when we were staying over at her house. She put some lavender in a diffuser in our room and I swear I had the best sleep I'd ever had in my life. I inquired more about them and ended up getting a starter set. We used them a bit with Mason and to be honest, I didn't really see a difference. I kind of put them on the back burner and haven't really looked at them since. And then I was browsing Pinterest the other day and came across this pin. And I got to thinking. I've been looking into it a bit more and asking various friends for input and their opinions and I think I may give it a try. I figure, why not? My only problem is, which company? I've been doing a good amount of research and I think I know which way I'm leaning. The oils I used in the past were DoTerra but now I'm thinking Young Living. But I'm really torn! Regardless of which company I choose, I'm just excited that I found another way to (hopefully!) help Mason. Also, any advice or recommendations are welcome! This Tuesday, August 2nd, is our next Foodie for a Year link up! This month's topic is to share a quick and easy week night meal. I, for one, am SUPER excited for this topic! As a working mom whose working husband does all the cooking, we NEED quick and easy week night meal options. I have a good amount that are on a regular rotation but I'm always looking to add something new and exciting! I'm excited to see what everyone shares. That drink sounds so yummy! I'm going to try it. I use oils and want to get more into them. I use Young Living and they are awesome. If you need a way to get some ordered let me know. I can help you out. I've been having that same problem with iCal and it's driving me crazy! I look back all the time to see when we did something and just recently anything that wasn't recurring was just gone. The good news is it didn't disappear from my calendar on my laptop which is synced through the cloud. But frustrating when I'm out!!! If you figure it out, please share, cause I'm stumped and annoyed! You made me look into this more and I think I figured it out. Go into settings for mail, contacts, calendar. Scroll down to calendar and select "sync for". The default appears to be a month. I just changed it to 1 year and hope it helps!?! Darn phone.... Mine just updated and I lost some of my notes. I'm totally annoyed by that. I use google calendar on the calendar app on my phone. Yay for a fun new drink! That's why I don't use my phone!! I'm no help. I just assumed the phone steps were super inaccurate in general. Again no help. I've never used EO...oh hey look no help. And yay for food! I can't make quick meals, I'm still stumped for this one. I love the new drink idea! I am going to have to try that. I have been using oils...for years. I LOVE them and what they do for Lia (and me) Of course you will find your few go to oils and use them all the time. I found that I like so many. At first I got caught up in making sure that I had only one brand and now I find what I like and use them. I LOVE Young Living and I use them for a few of our core oils- like Thieves, Frankincense, and a few of their blends. Come back to school I cannot live without Thieves! However I have found a few other oil companies that I love as well. Edens Garden and Plant Therapy- these two are great for oils that you may not use every day ( or want to spend the $$ on just to try) and for using several oils to create your own blends. But if I even think that I may want to ingest an oil I stick with YL. The other oil I swear by ... is DoTerra's Digestzen. It is perfect for any type of tummy trouble. Lia asks for lavender every night and I even have a diffuser necklace she can wear to school if she needs a boost! Have fun with it. The other night a friend of mine mixed cranberry juice and sprite and while I don't really like either one on its own, I really liked the drink! Weird about your phone and the steps...I wonder how it works anyway! Like if you're holding the phone does it still count steps? Maybe your gps is inaccurate or something? So I have no answers to your phone help queries... sorry friend! But I can totally help you on the oils. I use Young Living and they're the only company I recommend, and I give a reference book to anyone that signs up through me. Happy to help if you want, but of course, no pressure! I use them for pretty much everything (I even make my own laundry detergent with them) so you know I'm all in. Happy Friday! That's really weird about your step counting app! Have you contacted Apple yet? Their customer service is excellent. We use oils from both companies. I don't think it really matters at all between those two. Ohhh that drink looks tasty! 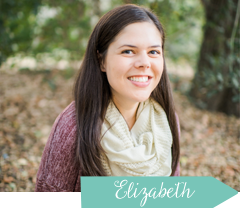 I use Young Living oils, and one thing I like about them is that you can always get information for recipes/what to use when on Pinterest. Whereas, DoTerra and other companies don't have quite as much out there. Does that makes sense? 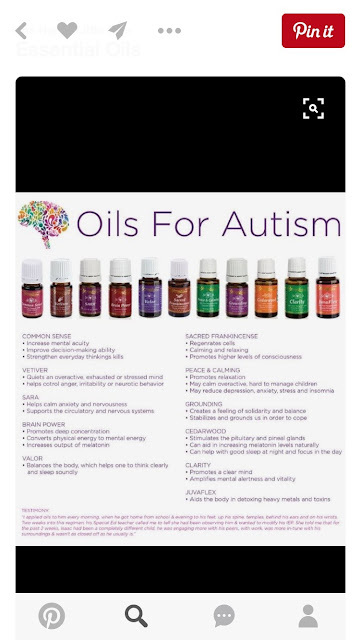 The girl who I purchase them from has a daughter who is autistic, so she talks about what works for them quite a bit. I'll tag you in one of her posts on IG! Oils are so helpful for so many things I hope they work out well for Mason. I sometimes just want to wear lavender as perfume. I kind of smell like a hippy, but I really don't care :P. That drink combo looks amazing. I need to try that out pronto. Hope you had a great weekend! I need to try that drink! Sounds so refreshing and perfect for summer! That drink sounds so good!!! I am of no use when it comes to any tech-y/gadget thing, but I'd be so frustrated if my calendar was just randomly removing things. I live off my phone's reminders! Hmm, that drink sounds refreshing. I will have to try something like that. We have dabbled into oils and love the ones we use (which is only like three!). I can’t wait to see how they work for you guys! I’ve heard amazing things about Young Living! [Christmas in July] The goodies! Fourth of July Long Weekending.